Petra Community Housing believes that all individuals, seniors, persons with disabilities and families deserve quality housing. 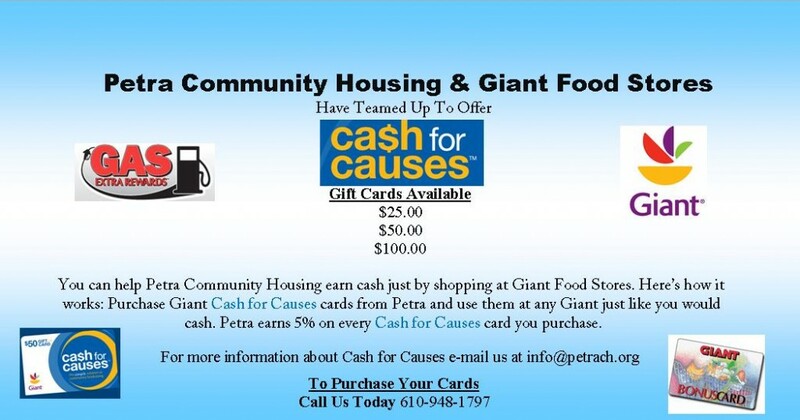 With your support Petra Community Housing can continue to impact Chester and Montgomery Counties homelessness. Below are three ways you can partner with Petra in impacting your community. 1. Donate to Petra Community Housing through our secure site. Any amount is greatly appreciated! To donate just click on the DONATE NOW button located on the right of the page. 3. Join us for one of our many Fundraising Events. Click Here to learn more about our upcoming Fundraising Events. 5. Become a Volunteer! Click here for information on how to become a volunteer at Petra Community Housing.